In this week’s X-Men Gold # 25, we see a familiar accessory return to the possession of Ororo Munroe aka Storm just in time to beat an angry Negative Zone god. Let’s all welcome back Stormcaster. 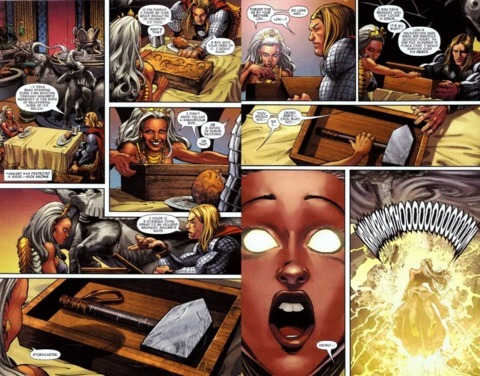 In this issue, we find Storm locked up in isolation after the ruckus they were involved in last issue. They were sent to prison on allegations of property damage and all other cases and they had to abide by the rules. But with the return of the god Scythian who they defeated back in the Negative Zone, they need to get their asses back together. 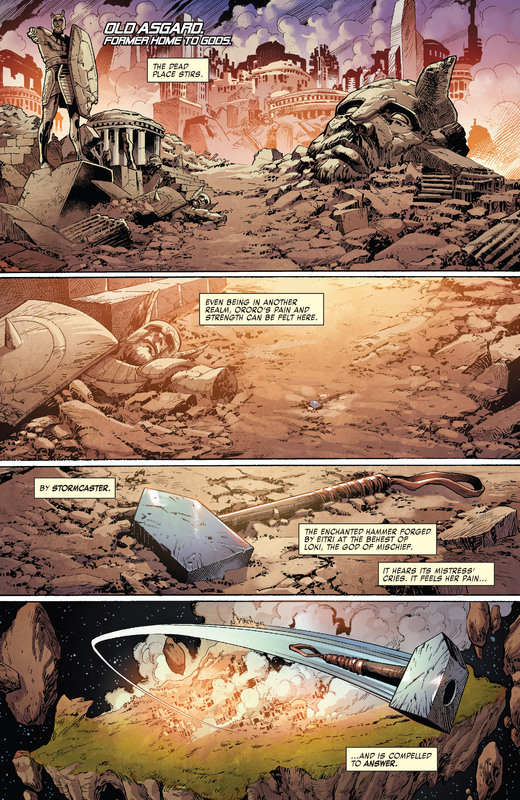 It’s because of Storm’s pain and fear in prison that Stormcaster stirred from where it was in the ruins of Asgard. 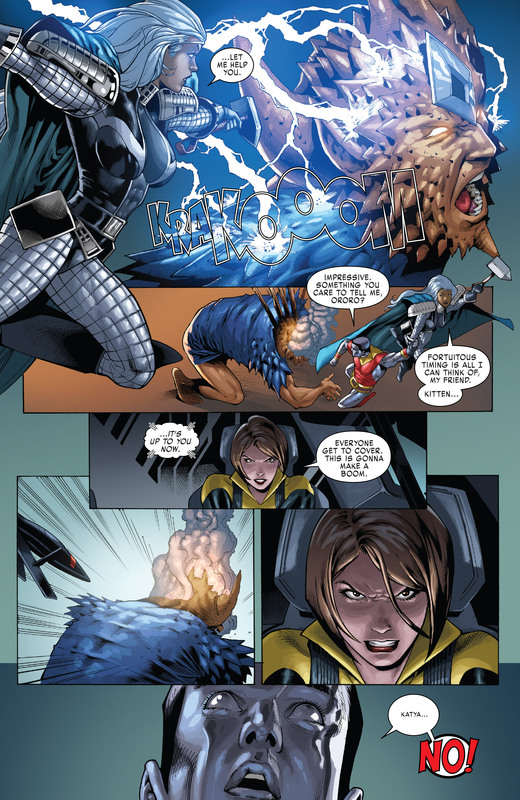 Later, the second X-Men team led by Iceman and composed of Rogue, Ink, Magma, the new Pyro and Armor plus former Excalibur members Meggan and Captain Britain try to beat Scythian but get severely beaten. The A-team gets out of prison and help in taking down the deity. 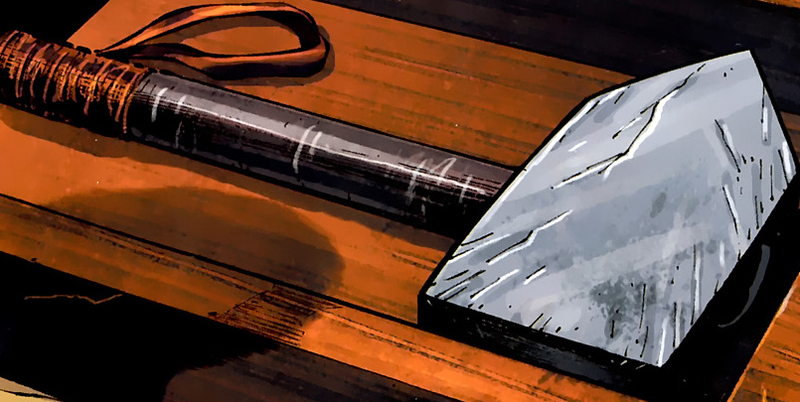 Storm helps out as aerial assault and thats when she reconnects with her hammer. With the added boost in power, she successfully fends off the Scythian’s attack and win the day. 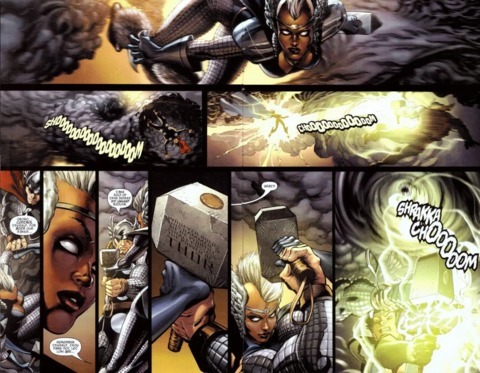 Let’s see how the X-Men react knowing that Storm is a walking, talking goddess once more. 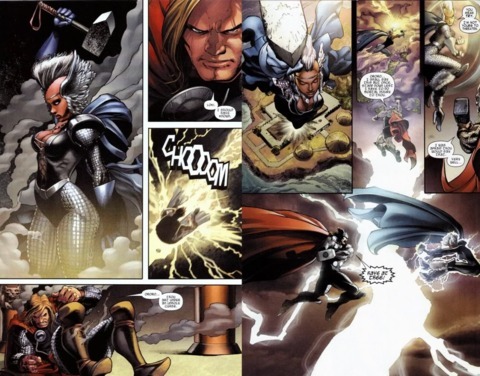 For a bit of history, the hammer Stormcaster was given to Ororo by the trickster god Loki. 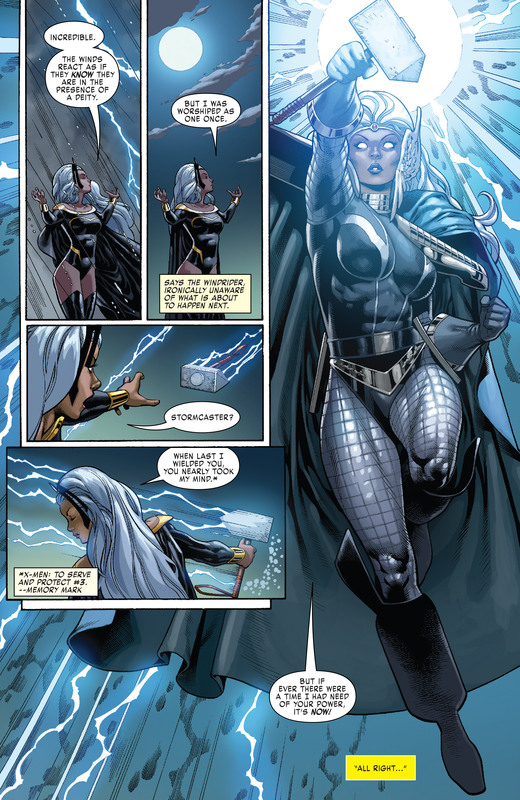 The hammer proved to be too powerful for Storm that she immediately ditched the hammer after holding it for a few moments. The X-Man knew that she would lose her mind if she held on to the hammer for a longer period of time. 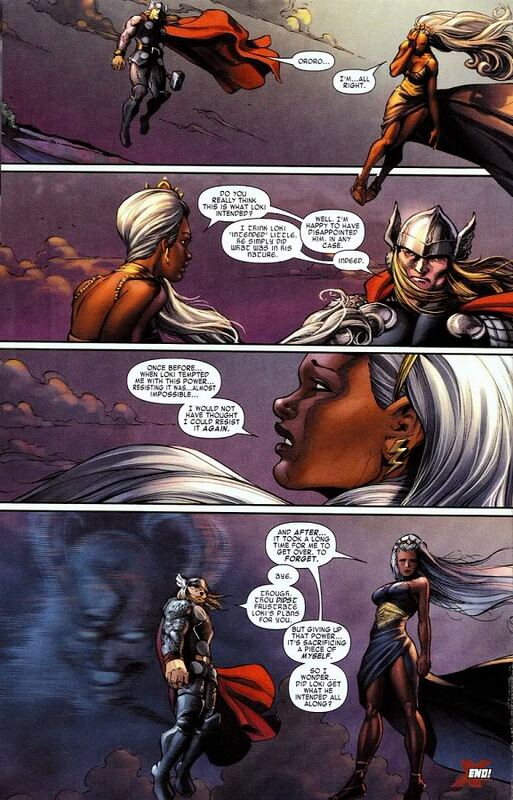 Years later, Thor once more meets up with Storm and presents Stormcaster to her. The weird thing about the new transformation for Storm using Stormcaster is the fact that she doesn’t get a mohawk after transforming. Maybe its something that’s been overlooked, maybe there’s something else that we don’t know yet.